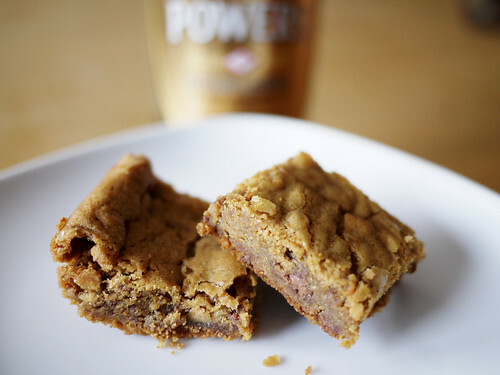 My heart swooned this morning at the presence of homemade blondies on the kitchen table from cpbgallery. The smallest bite yields an intense, almost caramel-like, sensation. They practically stood up and demanded a fresh pot of coffee. Oh wow, I have never eaten blondies before.. i have just worked out that they are probably a white chocolate version of brownies. yum!